For acquiring used laser SCHIFFLI embroidery machines in retail or bulk quantities, buyers can consider our name. Ours is a Surat (Gujarat, India) based trader, specialized in offering used machines at competitive rates. We have developed the entire in-house unit wherein we keep our raw material to fulfill variegated requirements of the buyers. 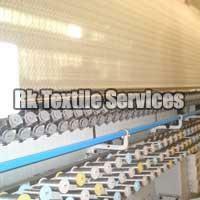 Also, we make sure that the material is sourced from the reliable places only. We are staffed with a team of deft professionals who diligently furnish varied requirements of the clients and ensure qualitative packaging of the placed orders. So, join hands with us and avail the benefits of streamlined solutions.